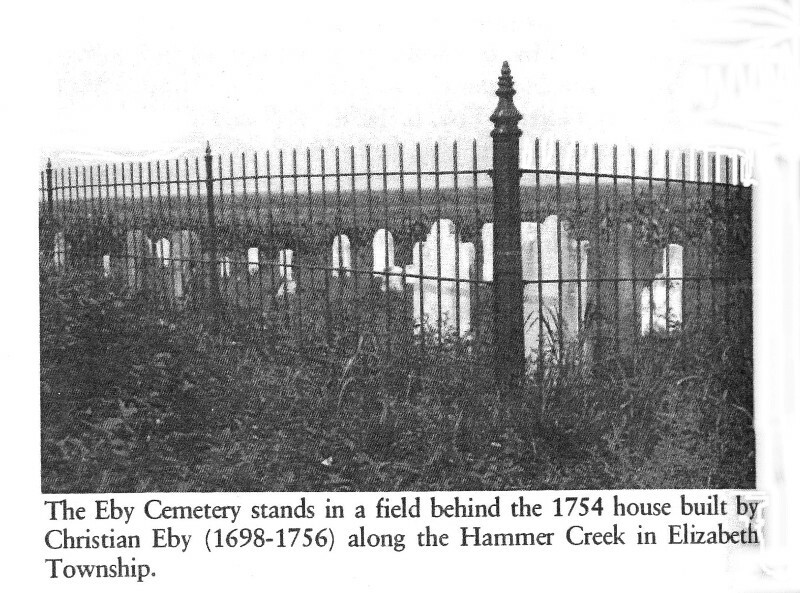 Headstones: Theodorus Eby. This is a headstone that's in the Eby Cemetery honoring this family but he is buried across the street from his home in a corn and tobacco field. 2 Theodorus Eby. This is a headstone that's in the Eby Cemetery honoring this family but he is buried across the street from his home in a corn and tobacco field.